Thank you for considering adoption of your next best friend from the Humane Pennsylvania. We have many wonderful pets who can’t wait to join your family. When you adopt a pet from the us, you are giving an animal a second chance at love. We hope you will encourage other people to consider adopting from their local animal shelter. We think the animals available at Humane Pennsylvania are the very best you can find anywhere. But we sweeten the deal with our 30 Day Adoption Health Supplement. This original and unique program provides a discounted first vet exam and discounted health care coverage for a wide variety of common illnesses in the first 30 days! Please take a look at some of the wonderful animals we have for adoption. More come in every day, so please stop by and visit. Don’t forget to consider less traditional friends, too. We regularly have a wide variety of small mammals, birds, reptiles, farm animals, and others available for adoption! Willing to adopt an older pet? Humane Pennsylvania has an incentive for you! Cats 11 years or older and dogs 8 years or older may now be adopted at discounted rates! The adoption includes all of the same benefits as a regular adoption. All normal adoption requirements and screening also apply. Adoption fees vary among our animals based on breed, adoptability, age, health and other factors. Please see each animal’s profile for designated adoption pricing, or call your preferred shelter location for further information. Free 2 lb Bag of Science Diet Pet Food (dogs) or free 1 lb Bag of Science Diet Pet Food (cat). Science Diet partners with HPA to provide great nutrition to all cats and dogs in our shelters. You can continue that great nutrition when your pet goes home with you! Every cat and dog adopted at Humane Pennsylvania’s two adoption centers or at any satellite adoption center receives our exclusive 30 Day Adoption Health Supplement. 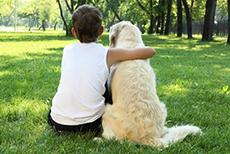 This provides your pet coverage for a wide variety of common canine and feline illnesses. Our goal is to provide you and your pet with the best possible health care and to avoid adoption returns due to simple and treatable illnesses. Read more about the health supplement by clicking here. The Free To A Great Home emergency adoption program was introduced in the summer 2005 to provide an incentive to adopt adult cats facing euthanasia due to a lack of space during the crowded summer months. The program was a runaway success, completely eliminating euthanasia among cats for space (resulting in hundreds fewer cats being put to sleep each year). It also led to record adoptions among both cats and dogs thanks to the press coverage and public attention the program received, as well as the first decrease in the rate of euthanasia in our shelter’s history. It also received a Best Industry Practice for Adoption Programs Award from the American Humane Association in 2006. Interested adopters go through the normal adoption screening process. If approved for adoption, the animal they are interested in may be adopted at no charge. Adopters receive all the same benefits and responsibilities as regular adopters. Also, any cat or dog which has been up for adoption for eight weeks or more may be adopted at no charge through the FTAGH program! Humane Pennsylvania hopes that this expanded program will help even more pets get the homes that they need in times when animals need homes the most!